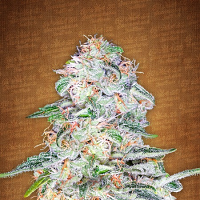 Purple Wreck Regular Marijuana Seeds by Ken Estes Grand Daddy Purple Seeds: This is a lemon-scented hybrid cross between GDP and Trainwreck. 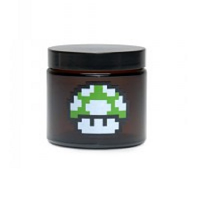 Developed out of Humboldt County, this strain gives a slight body affect, nicely euphoric and uplifting for those Medical Marijuana patients looking for a positive boost. An almost equal mix of her parents, this combination offers a sweet purple grape taste, almost immediately followed by a classic Trainwreck sourness/dankness. Tingly! 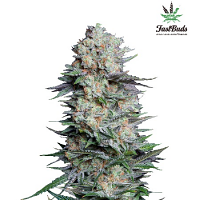 This extremely potent hybrids resin production begins almost immediately in flower and can cover the entire plant in a dripping blanket of thick crystals. 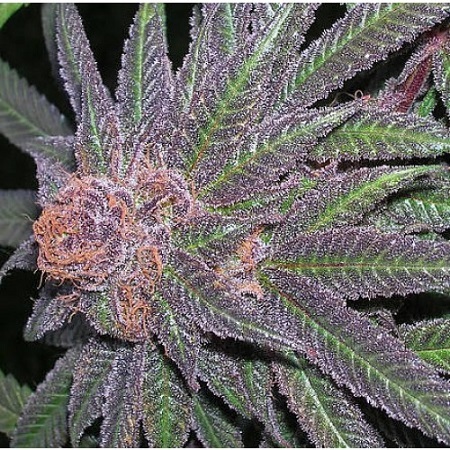 A powerful pain reliever, the Purple Wreck is the kind of medicine you keep going back to for just one more taste. 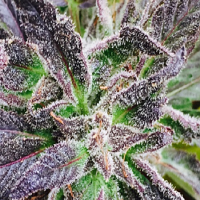 Violet buds with even darker purple hairs makes this strain also intriguing to the eye.